Gloha is the only creature of her kind in all the world of Xanth, the beautiful offspring of a chance mating between a harpy and a goblin. As she grew to womanhood, she wondered where where she would find the one true love with whom she could share her life. So, naturally, she sets off to find the Good Magician Humfrey to ask him for an Answer to the riddle of her heart's desire. 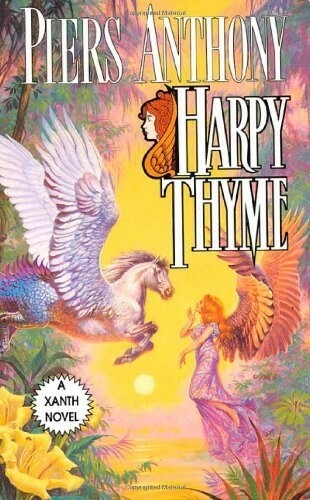 But hUmfrey, for mysterious reason of his own, propels her instead on a perilous quest in search of truth, friendship, and, just possibly, happiness.